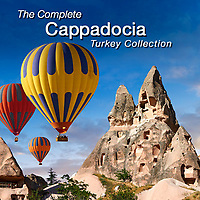 Pictures, photos & images of Cappadocia ( Capadocia, Kapadokya, ) rock formations, fairy chimneys and cave churches & monasteries, Anatolia, Turkey. Cappadocia is an area of spectacular rock formations that have been used as rock houses for thousands of years. The whole area has been covered with hundreds of meters of volcanic ash that has compressed into Tufa rock. 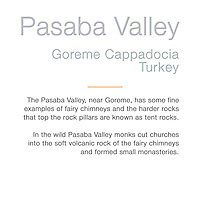 Water has eroded into the landscape leaving valleys with steep cliffs and towers of rock known as fairy chimneys. 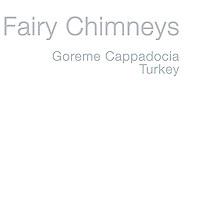 Tufa is soft and since prehistoric times people have made cave dwellings which are linked from small doorways via internal stairs that run up inside the fairy chimneys or cliff faces. 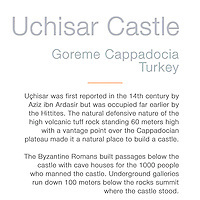 This created easy to defend rock castles that could house towns of several thousand people like that at Uchisar, where the rock houses run the full height of a towering rock face..
Cappadocia is on a high plateau in the centre of Anatolia and its remote position and hidden rock towns made it a perfect location for early Christians who had to hide from the persecuting Romans. 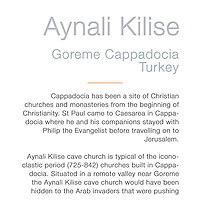 Many rock churches are spread across Capadocia with religious frescos painted on their walls. Some valleys like Zelve have the remains of huge rock monasteries. 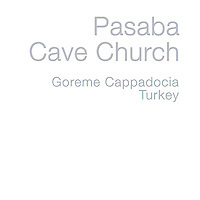 At Goreme is a UNESCO World Heritage site with rock churches with spectacular frescoes. Capadocia is a truly unique part of the world. Its rock formations and rock houses create an incredible place to explore which is why it is high on travellers to Turkey's list.